Large or protruding ears can be an embarrassment for people who have them; it also can hinder their social and professional interactions. Otoplasty surgery, or ear reshaping as it is commonly called, is a cosmetic procedure that can change the overall shape of one’s ears, adding balance to a patient’s head and face. Ear reshaping can help place protruding ears back and closer to the head as part of the procedure. 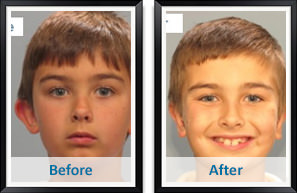 This surgery can be performed as early as ages 5 or 6; it is at this time the ears are fully grown. While many adults have otoplasty procedures to correct their ears, the earlier this surgery is performed, the better. This is due to the fact that the cartilage in younger ears is easier to work with than in full grown adults, and can possibly result less pain post-op as well as quicker healing. An otoplasty procedure entails reshaping the cartilage to a more desirable size and position. By reshaping the cartilage, the overall aesthetic of the ear changes as well. The skin which drapes over the ear is adjusted to fit the new shape and size of the ear, improving the overall appearance of the ears. During an otoplasty procedure, small incisions are made at the back of the ear to prevent any visible scarring. Through this incision, the cartilage is reshaped and the ear is set back closer to the head to give the patient a balanced appearance. While large or protruding ears do not often create any health related concerns, the embarrassment can cause psychological harm, especially in children who have to contend with bullies. Having an otoplasty procedure will not only alleviate the self-esteem issues that come with larger ears, but it can also give a patient the confidence boost they need to thrive socially, academically, and professionally.